Dr. Dave Hill entertains audiences with an awesome and hilarious Comedy Hypnosis Show. 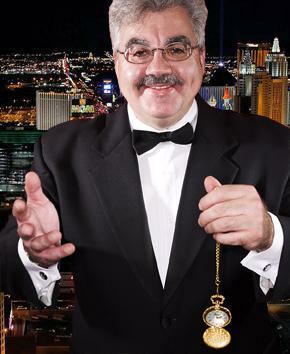 Dr. Dave Hill - Hypnotist has performed over 8,000 hypnosis shows over the past 30 years at numerous casinos in Las Vegas, Reno, Lake Tahoe, and Atlantic City as well as comedy clubs, colleges, high schools, state fairs, festivals, and theme parks, such as Great America. He has also entertained for major corporations, such as: GE, eBay, PayPal, and Google; as well as the Golden State Warriors. And he has been seen on numerous television shows, including Mythbusters: where he hypnotized Grant, Tory, and Kari in less than 15 seconds to improve their memory. He has also hypnotized Nick Young (SwaggyP, now known as SwaggyChamp) of the Golden State Warriors as seen on TMZ. Dr. Dave is certified as a Master Hypnotist by the National Hypnotism Training Institute and as a Certified Hypnotherapist and Advanced Hypnotherapist by the National Guild of Hypnotists. The International Hypnosis Federation also certifies him as a Professional Stage Hypnotist. Advanced Neuro Dynamics certifies him as a Hypnosis Trainer. And Dave teaches hypnosis at his " Rules of the Mind Hypnosis Institute." Dave also has a Doctorate in Clinical Hypnotherapy and has helped over 3,000 clients improve their lives with hypnotherapy. Dr. Dave is also in demand as a public speaker for his hypnotic selling techniques, motivation, and fire-eating seminars. This show is specifically designed for your event. It is a fast-paced, high-energy show with lots of music. All the material is appropriate and the show does not resort to cheap laughs or offensive material. The Show is designed to yield maximum fun while providing a safe environment for the audience and participants to enjoy themselves. Dave Hill carries a $2,000,000 Professional Entertainer's Liability Insurance Policy. He has never had a claim or accident and does not expect one. This insurance is in place because you are working with a professional. ****Background Check Verified Performer****because it is important to make sure that the entertainer you hire now for your next event has the highest morals and ethics. Hilarious, Classical, Astounding, and Mesmerizing. Dr. Dave's hypnotic stage show is a fun filled event. 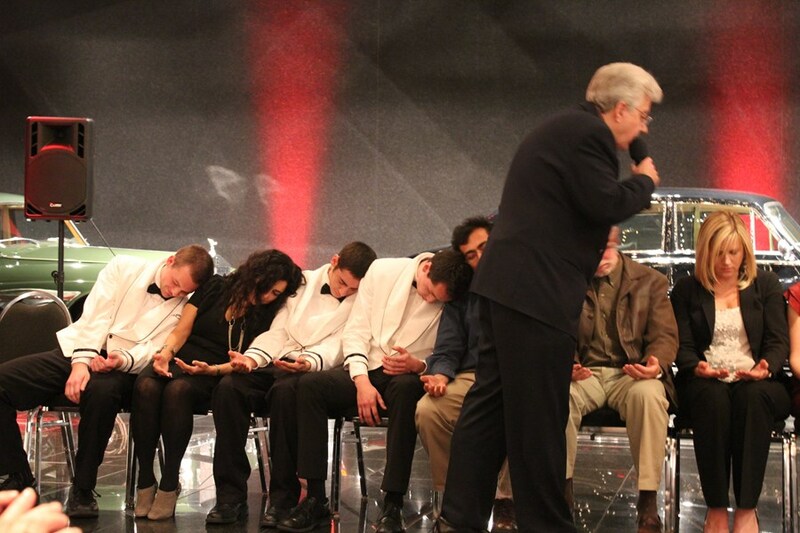 People are chosen from the crowd and are brought on stage to be hypnotized. The two requirements to be hypnotized: First, you have to be willing. Second, you must have normal intelligence. This show is a lot of fun! Don't delay - Book a Show Now! A: Hypnosis is an extraordinary state of mental, physical, and psychological relaxation that makes the subconscious mind more suggestible to the non-critical acceptance of ideas, concepts, and information. Q: Who can be hypnotized? A: Anyone who is willing, has a good imagination, has normal intelligence, and is able to concentrate enough to count from 10 down to 1. Q: How can I increase my chances of being hypnotized? A: By leaving everything to me and lending me the use of your imagination - your imagination enhances you ability to be hypnotized. Follow my instructions to the letter and know that when you believe hypnosis will happen it will come to pass. Q: How will I benefit from being hypnotized in the show? A: You will discover how powerful your mind is and learn that everything begins in thought. You will learn to pinpoint the mental, physical, and emotional habits of successful people and learn how to duplicate these habits so that you can create passionate personal relationships, mega-wealth, and total self-empowerment. Dave’s show was the highlight of our community Halloween event! He’s a true professional and he did a great job of keeping the audience involved as he worked with the volunteers ‘on stage.’ Every one enjoyed seeing the show and those being hypnotized had even more fun. This was my 2nd time hiring Dave Hill. The 1st time I was astounded by his performance and abilities, but he blew my mind even more the 2nd time! 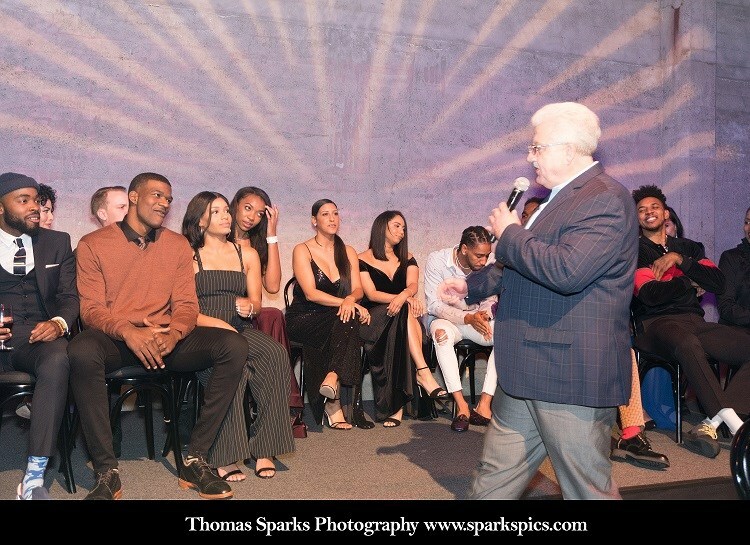 I was the HOST for about 200 people and after peer pressure ended up volunteering for his show. It was my first time being hypnotized and I must say I was a bit skeptical… little did I know he made me the main entertainment at my own party! He is absolutely amazing!! Not only does he have to power to hypnotize people, but he has the humor to keep all ages interested and wanting more. He was able to accommodate my event above and beyond what I was expecting. If you don't book him for your event you’re missing out big time! Dave was great. Went way above and beyond all we asked of him. Great entertainer. Dr. Dave Hill was exceptional both in his performance and professionalism. While planning the event he was flexible, honest and organized. He arrived punctually, prepared and technologically self-sufficient. The show itself was spectacular, and very well received by our group of 75. I received many compliments about the success of the event and we plan to bring him back for a repeat performance in the fall. What a great time and great performance. I have never seen a hypnotist before hiring Dr Hill, however, after seeing him in action I was completely blown away by his level of talent and professionalism. He interacted with our audience and volunteers so great. I didn't have any problems whatsoever and he was so flexible with my event that it took a lot of stress off of me. I highly recommend him for other events, in fact, I want to hire him again next month! Dave Hill performed at our annual holiday luncheon. His performance was great, and there were many compliments about his performance. Employees loved his performance, and have said that was the best holiday party yet. My company thoroughly enjoyed having Dave at our annual sales meeting. It was something different & very entertaining. Thanks Dave! Please note Dr. Dave Hill - Comedy Hypnosis Shows will also travel to San Lorenzo, Castro Valley, San Leandro, Union City, Fremont, Oakland, Alameda, Dublin, Newark, Piedmont, San Ramon, Pleasanton, Redwood City, San Mateo, Danville, Sunol, Menlo Park, Moraga, Alamo, Belmont, Diablo, Palo Alto, Rheem Valley, San Carlos, Atherton, Alviso, Burlingame, Emeryville, Moffett Field, Orinda.